In our School Council meetings this year the issue of children’s safety on the roads outside of school at the beginning and end of the school day has been brought up a number of times by children right across the school. Sadly there have been a number of incidents of parents parking inappropriately as well as setting off without enough care and attention when we are all trying to get into or out of school safely. We know that the vast majority of you park and drive with great care and thought for our safety but this is not the case with everybody and we as a school council are convinced this is putting us at risk of injury or even worse. We would like to change this situation before a disaster happens. As a result of our discussions and conversations with Miss Harvey we have developed some ideas to try to help improve the situation and we would like to test which of them you would support should they be implemented. We should be most grateful if you would complete the questionnaire below. We will use your responses to make a plan of action which we will share with you before implementing from the start of the summer term. please click the picture below to go to the Bridgewater Hall website directly and buy online. This week, Years 3, 4 and 5 have performed their amazing Christmas show, ‘Superstar’! They were fantastic, with wonderful singing and excellent acting. Well done to everybody involved in the production, and thank you to all the parents who could attend. Today, Choir have performed Christmas songs outside for all of our parents and children. They will be outside next Friday too – don’t miss it! Today, Foundation Stage have performed their amazing show, ‘A King Is Born’! 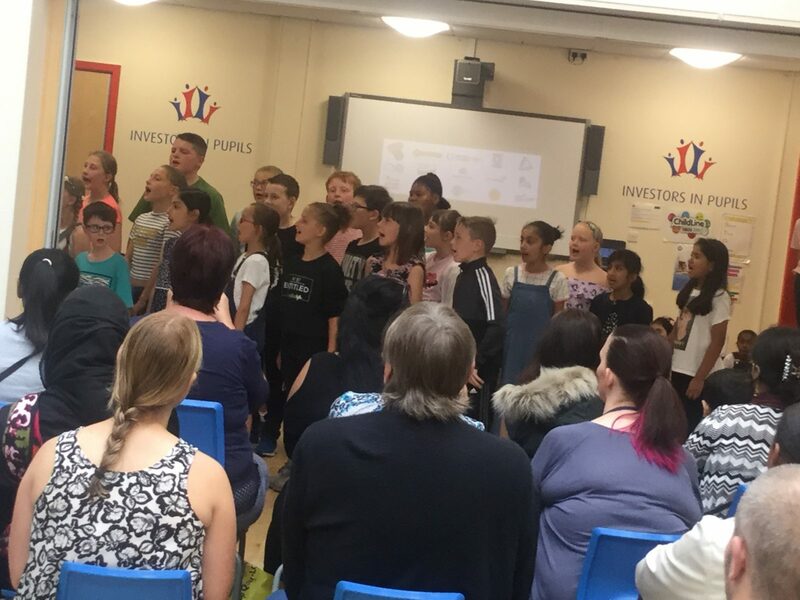 Well done to all the children and staff for working so hard on learning their songs and moving around the stage. Yesterday, we held our annual Work Related Learning summer fair! There were loads of stalls selling items made by the children, and each stall was based around a country. Lots of delicious food was sold too, and there were many different games to play. What did you like best about Work Related Learning? Today we have enjoyed our fabulous music assembly! Year 5 showed off their amazing drumming and brass skills that they have been working on all year. We we were delighted to enjoy a performance from our Halliwell Hooters. 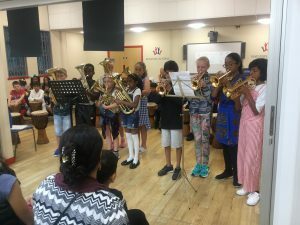 These children have had extra tuition in brass instruments and have built up their skills over the year. Finally, we were treated to Choir showcasing their talents as they sung ‘Deep Down In My Soul’ and ‘This Is Me’. Well done to our fantastic, talented children and thank you so much to all of our parents who could come to watch and support. Well done to our amazing Upper Key Stage 2 Cricket team, who won their cricket match against Gaskell Primary School! 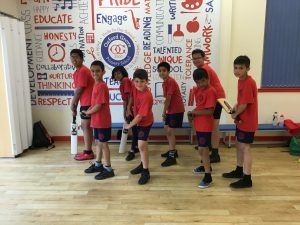 An extra special well done to the children who were given awards for Bowler of the Match and Batter of the Match. 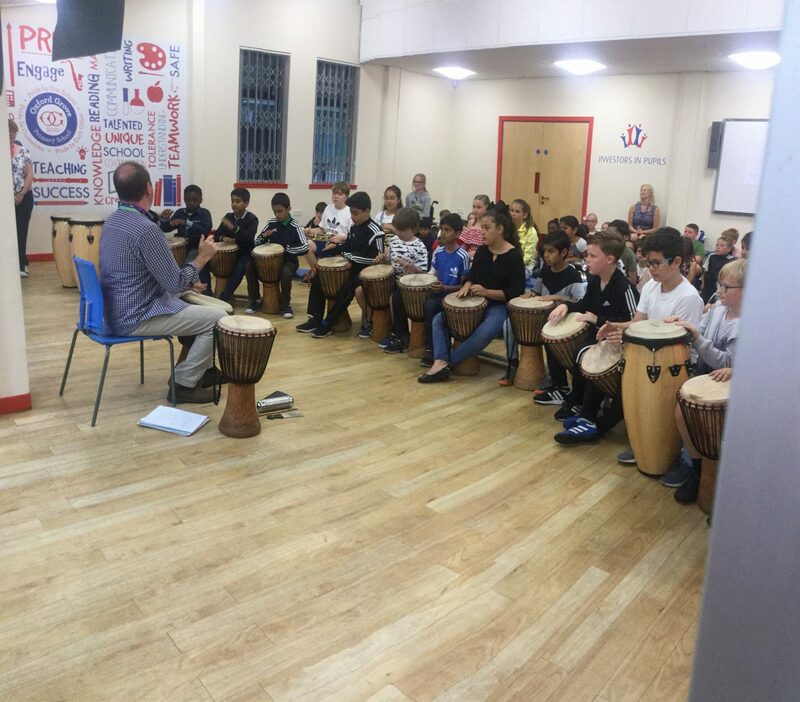 Thank you to all the parents who attended to help cheer the children on. Thank you so much to our amazing families who have contributed towards our Harvest collection! We really appreciate the efforts you have gone to. The Harvest gifts have now been boxed up and will be distributed to the community. We have kicked off our new academic year with our annual ‘Meet the Teacher’ meetings. Parents and families came into school to meet the teachers, go over routines and talk over any issues or questions. Oxford Grove’s parents do Maths! Newsround – Keep up to date with what’s happening in the world.